Happy Smoothie Monday! I have to tell you I am on a serious cherry kick! I can’t get enough of that fiberlishous little fruit! They are so plump, sweet and juicy! 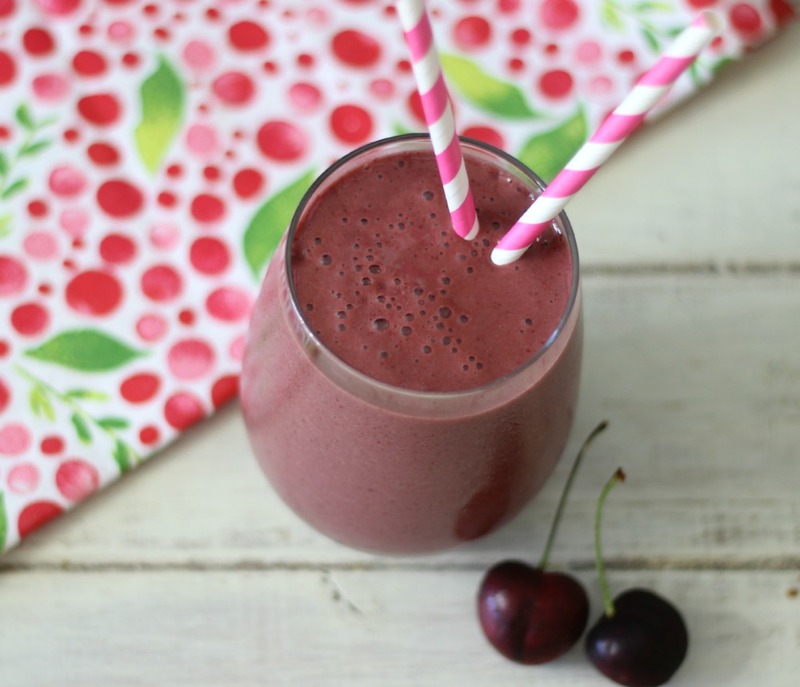 Since it is cherry season after all, I couldn’t go without creating a cherry smoothie! 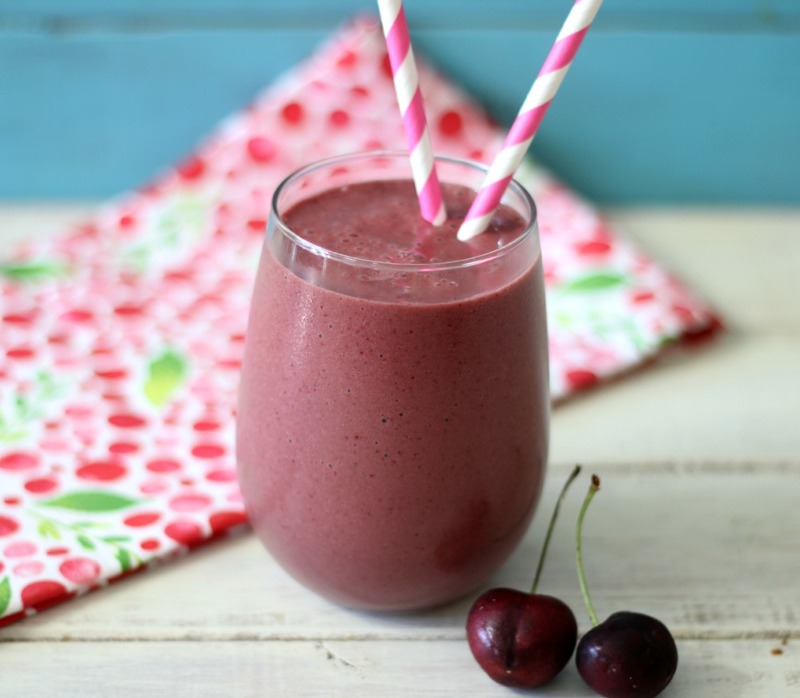 So as you can guess, today’s smoothie is made with cherries! Let me introduce to you my newest creation, Cherry Vanilla Protein Shake. This shake tastes like a dessert! It’s sweet, thick, creamy, has the most delicious, fresh cherry flavor with just a hint of vanilla. I think I am in love! The smoothie is so simple too! 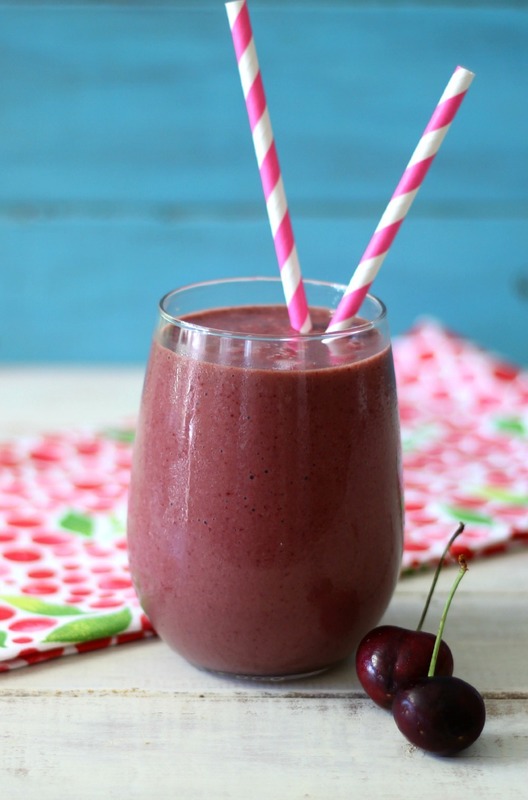 It only contains 3 ingredients, cherries, coconut milk and vanilla protein powder. 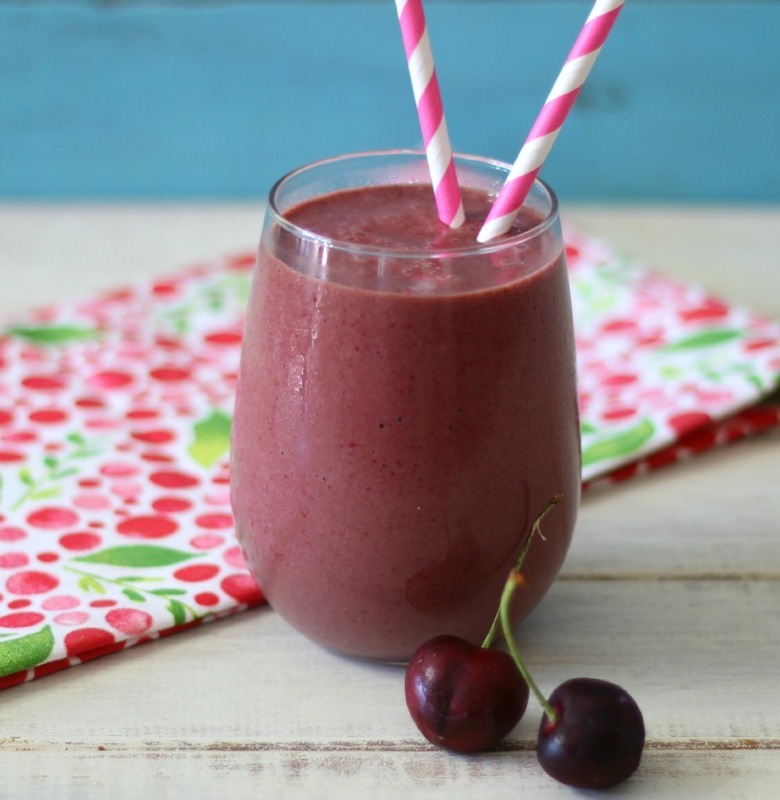 This smoothie is so healthy for you too! I used fresh cherries that I pitted myself and froze them. This time of year I always buy a ton of cherries and pit them and freeze them. It saves me money, but the best part is I can savor the fresh cherry flavor all year. If you don’t have fresh cherries, I do know that Target carries frozen cherries that taste wonderful and are around $3.00 a bag. It’s there Market Pantry brand. For pitting the cherries I used OXO Cherry Pitter. I bought mine at Cost Plus World Market, but I believe Target carries it too. I have been using the pitter a lot lately. You’ll see in the coming weeks. 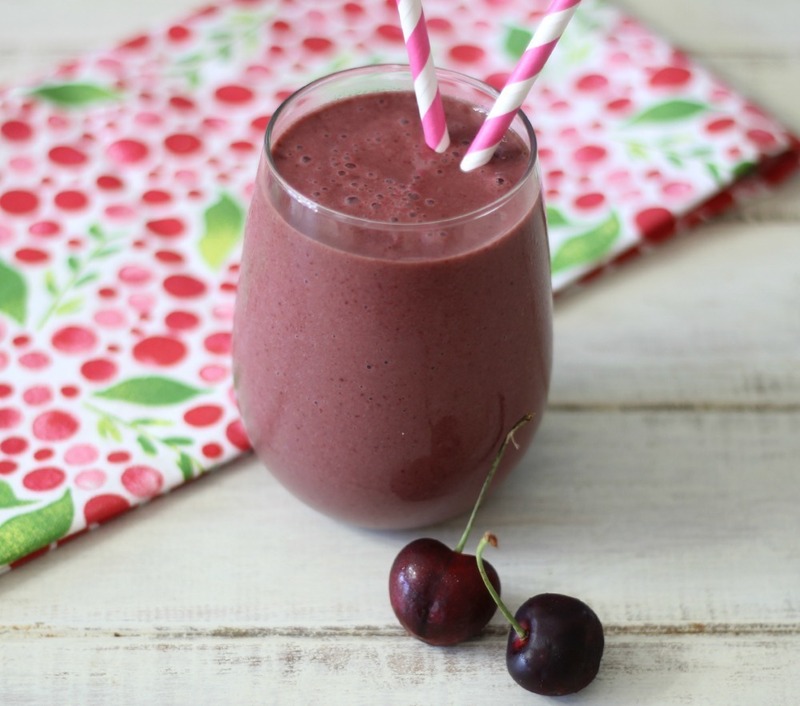 A healthy, refreshing smoothie made with cherries, coconut milk and vanilla protein powder. It tastes like a cherry milkshake! All I can say is yum, yum, yum! What a great treat! Well actually a great breakfast! It fills me up and my tummy loves it! Well my friends, have a great week! I know it will be a busy one for me! This looks great. I can’t wait to try it. Also, thank you for the tip on pitting and freezing fresh cherries. I don’t know why, but I would have never thought of doing that, but as you pointed out, it is very cost effective. Thank you! I could eat my weight in those sweet cherries and they’re so cheap right now. I have a big bag in my refridg. I think I know what’s for breakfast tomorrow, this sounds great Jennifer! This looks so yummy! I love me some cherries! I just love cherries right now! Such the perfect summer fruit. Yum!! yum!! It’s looking so…! nice. Thanks for Cherry Vanilla protein shake juice sharing us.